For many of us computer users, a PC’s CPU – or central processing unit – is an unseen device that we know little about. We’re bamboozled by numbers and frequencies ('gigahertz' or GHz) that do little to assist in our understanding of why one computer's performance may be better than another. However, it helps to have some working knowledge about your next computer’s CPU, so you can make an informed buying decision and get a computer that’s fast enough for your needs. At present, the most popular CPUs for new notebooks and desktop PCs are the Intel Core i3, Intel Core i5 and Intel Core i7. These CPUs are available in various performance grades and they have plenty of features that ensure a fast computing experience. At a glance it’s hard to know which CPU to choose (unless you know some nitty gritty details), but you can follow this general guide. 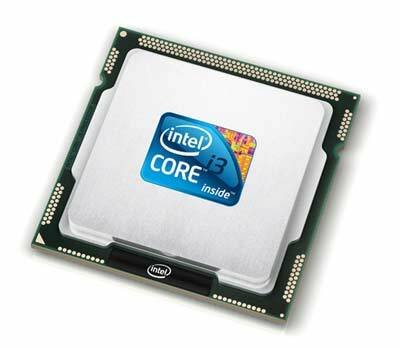 The Intel Core i3 CPU is featured in entry-level computers that can be used for basic office tasks, Internet browsing and online communications, photo editing, watching high-definition videos, and even for some basic video production. Pricing for computers with a Core i3 CPU starts from around $800. The Intel Core i5 CPU is for mid-range computers and it supplies a little more speed for everyday tasks as well as gaming and video work. Computers with a Core i5 CPU generally cost around $1300 depending on the configuration. 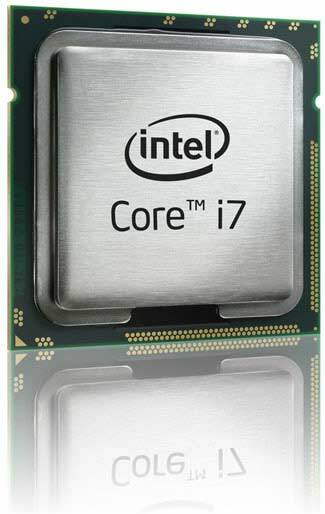 The Intel Core i7 is for high-end computers and it offers the best performance for playing games, video editing and design work. If you require a really fast computer, and money is no object, then look for one with a Core i7 CPU. Prices start from around $1900 for computers with Core i7 CPUs. While the guide above is a good rule of thumb, you may want to understand more about your new PC’s CPU. The main details you need to compare CPUs are the clock speed, the number of cores they have and whether they have Hyper-Threading and Turbo Boost technologies. Clock speed: The clock speed, or frequency, refers to the speed of the CPU, and this determines how quickly a task can be performed (for example loading a program). It is measured in gigahertz (GHz). Number of cores: The number of cores relates to how many ‘engines’ are inside the CPU. A CPU with four cores (quad-core) will outperform a CPU with two cores (dual-core) in instances where you run multiple programs at the same time (also know as multitasking), or when you run high-end software such as Adobe Photoshop for photo editing or Adobe Premiere for video editing. Hyper-Threading: Hyper-Threading is Intel’s proprietary technology that it uses to make a dual-core CPU perform as if it has four cores and a quad-core CPU perform like it has eight cores. Essentially, it allows each core to work on two tasks at the same time, thereby allowing you to multitask without noticing a drop in your PC's performance. Turbo Boost: Turbo Boost is another Intel technology that it uses to make the CPU to run faster than its default speed when necessary. For example, a CPU with a clock speed of 2.4GHz can run as high as 2.93GHz if the CPU auto-monitoring tools determine the workload requires the faster speed and that the CPU environment is cool enough to handle the increase. Intel Core i3: The Intel Core i3 CPU for notebook computers features two cores as well as Hyper-Threading. Turbo Boost is not supported. The Intel Core i3 CPU for desktop PCs has the same features. Intel Core i5: The Intel Core i5 CPU for notebook computers features two cores as well as Hyper-Threading, and it also supports Turbo Boost. 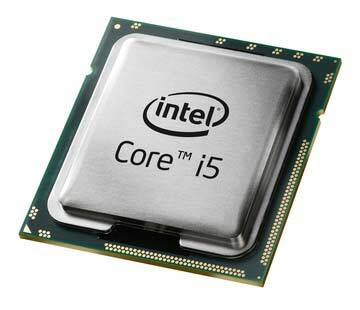 The Intel Core i5 CPU for desktop PCs is available in either dual-core or quad-core versions. The quad-core versions don’t have Hyper-Threading, but they do have Turbo Boost. 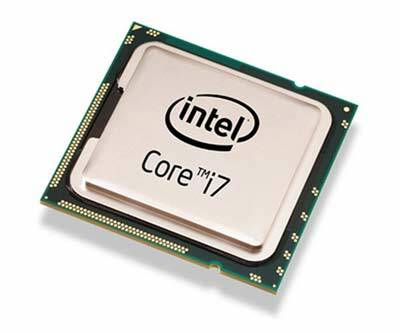 Intel Core i7: The Intel Core i7 CPU for notebook computers features two or four cores depending on the model, and it also supports Hyper-Threading and Turbo Boost. The Intel Core i7 for desktop PCs is only available with four cores, and it has Hyper-Threading and Turbo Boost. Usually you will see a number after the CPU name. To be honest it looks like another cryptic code to be cracked, but it’s easy to understand if you have the correct abbreviation information. 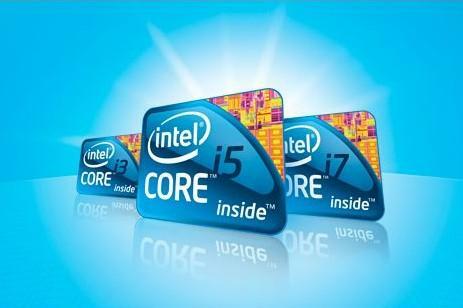 For example, the Core i5 is available in the following models for a notebook computer: Core i5-520UM, Core i5-430M, Core i5-520M, and Core i5-540M. Overall, the higher the model number, the better the performance, unless the model name has a ‘U’ or an ‘L’ in it. These letters refer to low-power usage and indicate that the CPU will run with a slower clock speed than CPUs using standard voltage. For example, the Core i5-520UM is a slower CPU than the Core i5-520M. Note that the additional letter ‘M’ in the CPU indicates that it's ‘mobile’, thereby signifying that it’s a CPU designed for a notebook. When considering the Core i7, you might also see a ‘Q’ in the name; this stands for ‘quad-core’ and means that the CPU has four cores as opposed to two for the non-Q models. Depending on your computing needs, Intel’s new family of CPUs offers great PC performance, no matter your budget. Before choosing your new PC, do a bit of homework and consider what your computing needs are today, and what they will be a few years from now. The PC you buy today – with some future-proofing – should provide for all your computing needs.